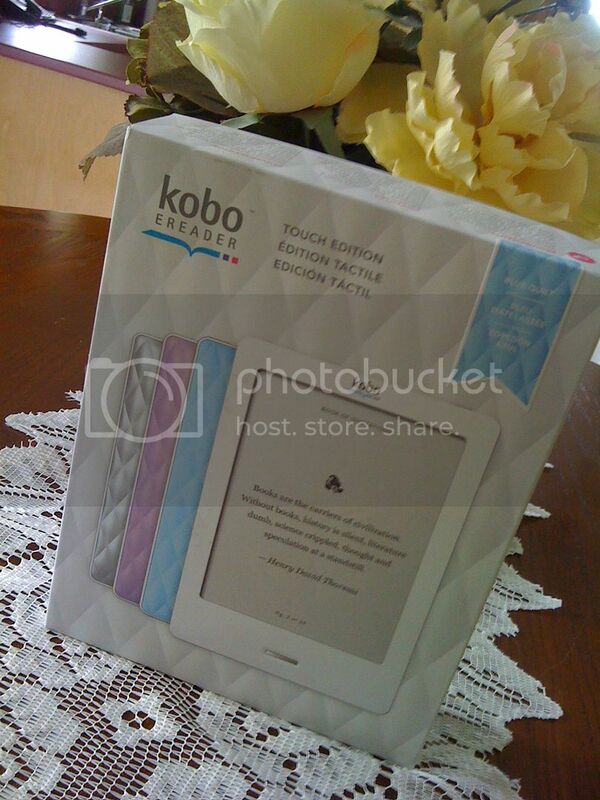 I now officially have a Kobo Touch. 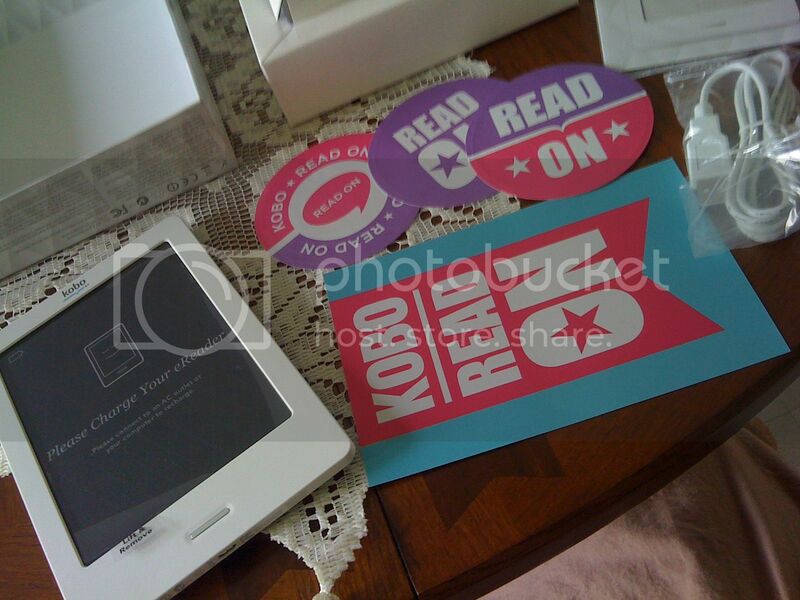 A Kobo for those who don't know, is an ereader. It took me a while to figure out which ereader to purchase. Kindle, Sony ereader, Nook, Kobo...there are just so many choices, but with the affordable price, and the choice of colors, it's easy touch screen, size, and choice for looking at library books, and buying them online with the Kobo website, which also accepts paypal. It was a perfect choice for me. I found the Kindle my 2nd choice, with it's affordable price, being the same as Kobo, and a great source of books with the Amazon website, but no option for viewing library books. I jumped from store to store in my little town, since not one place was offering the opportunity to sample all the ereaders at once. Tired out the Kobo at Coles in the mall, over to Future shop for the sony and old edition Kobo. Staples for the Kindle. Sony is a great ereader, my aunt highly recommended it to me, but with the price closely ranging in the $300 range, where I could buy a tablet for close to that price, I wasn't willing to put that much money into the ereader. I really didn't like the older Kobo, and Kindle was alright. But that's just about it...alright. It didn't excite me at all. But the Kobo has a wonderful, easy touch screen. So my choice was made, and once pay day hit, I was off to Futureshop and to my disappointing my only options were blue and silver, though I had wanted pink, I took another look at the blue, and found it enchanting, and of course I will have a Kobo cover. Later that night I got to use it for the first time. Inside was my Kobo, with some stickers and my usb chord. I charged it up, and got started. I downloaded the Kobo application on my computer and once it was done I was browsing through all the free books and already found tons I wanted to read! So to make things short, I'm sure you already know how I spent my night. So all those out there looking for an ereader I highly recommend the Kobo! If anyone has any recommendations for ebooks, just drop me a comment!